For all my runner friends out there with iphones or ipods - please purchase this. My mother told me about it; and its the best running app ever! It starts out as a story, like an audio book with wonderful effects and sounds - it tells you a story that you have crashed in a zombie infested land and you need to get to the safe areas - and to get there you need to RUN!!! As you run, it tells you this story and than does play your own music in between, the best part? 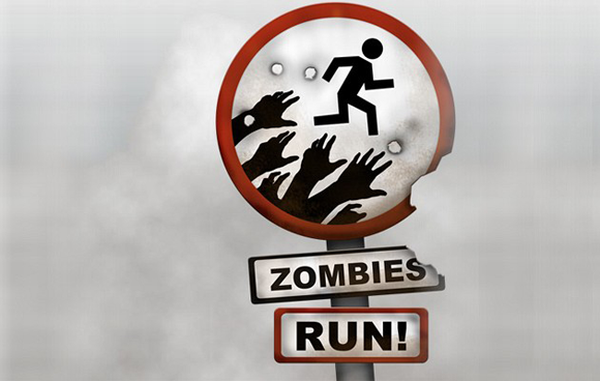 When the zombies come!! When the zombies come a radar goes off telling you there is a zombie on your tail and you need to run faster to get away! And my goodness, you have to run fast! 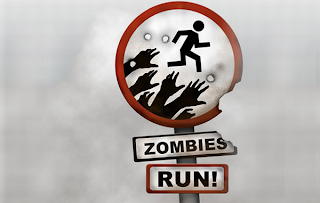 I am sprinting at full speed and still occasionally get caught my a zombie - its a wonderful challenge and change up for those who run the same route! This will give you an example, but trust me - its worth the price! !